TORONTO (AP) — It was as she forcefully stuffed actress Tatiana Maslany into the trunk of a car that the sheer out-of-body experience of her role in the brutal L.A. noir thriller “Destroyer” came into focus for Nicole Kidman. “I was putting her in the trunk of that car going: ‘What the hell is this? '” Kidman recalled at the film’s Monday evening premiere at the Toronto International Film Festival. As much as we’ve come to expect it, Kidman’s transformations can startle even herself. 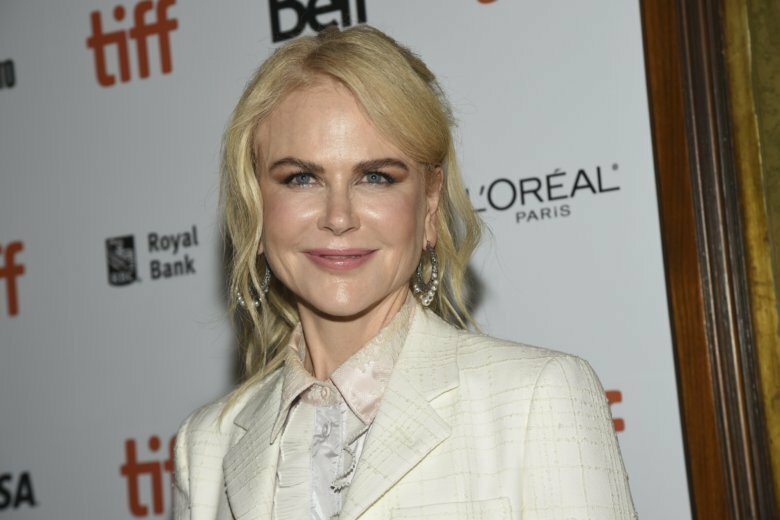 And just as has so often been the case, Kidman’s powers of metamorphosis again have a film festival buzzing and the 51-year-old actress back among the Oscar contenders. In Karyn Kusama’s “Destroyer,” Kidman is almost unrecognizable as Erin Bell, a haunted and hardened police detective with little will left for police work or life, at all. Her voice is a husky whisper, her skin a gaunt, sun-dried mask, her eyes cold and empty. She drinks heavily. What has turned Bell into a ghost is what drives “Destroyer,” which Annapurna Pictures will release in December. It cuts between a present murder investigation and an earlier, connected undercover operation that ended tragically. In the flashbacks, Kidman appears recognizably herself — beautiful, spirited — only further emphasizing her drastic changes in the role. Kidman said the character’s inner darkness was more challenging than the exterior makeover. Kidman has pledged to work with female directors at least once every 18 months. It’s her first time working with Kusama, the director of “Girlfight” and “Jennifer’s Body,” and she pursued the part, penned by Phil Hay and Matt Manfredi. Kusama recalled Kidman’s layered, shivering performance in one dramatic scene where Bell realizes something awful has happened. The filmmakers chose to shoot the flashbacks with a younger Bell second, a decision that Kidman acknowledged initially threw her.